The location was excellent. Staff was extremely helpful, especially the girls. There is one of them, whose name I did not ask =[, who was really sweet and helpful (she told she is from a village and commutes for an hour and a half so as to get to work everyday). The apartments were very central to all attractions. Good space for what we needed. Restaurants were convenient to apartment as well. Bed was amazingly comfortable! The only saving graces were the location and the size of the apartment, which was big for a hotel room. Love the location. It was easy to walk to everywhere and the parking garage was big enough to fit our minivan. You can bring your dog with you, even though there are not a lot of green areas. The location was excellent and there was plenty of room for 8 people to stay comfortably. Very nice that there were grocery stores nearby, and public transportation readily available. Location is unbeatable. Walking distance to main attraction in the Pest side and close to transportation. The apartment was big and clean. It was my birthday and a bottle of wine and chocolates were waiting for me at the apartment - really nice touch!!! Whatever I liked about this property has been offset by their absolutely horrid customer service. The studio was a nice size. The location near restaurants and transportation was excellent. The bed was comfortable. The bathroom was large and had a washing machine. The locks and windows were high quality and the building was heated. Plenty of towels. They graciously stored our bags. Great location Easy access to public transport Restaurants & cafes within the complex with a great variety for breakfast. 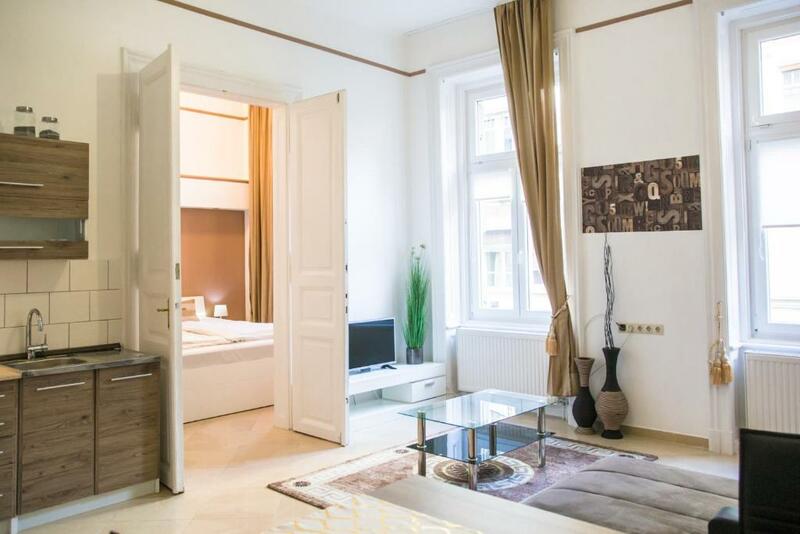 One of our top picks in Budapest.Senator Apartments are housed in a brand-new building next to the fashionable Váci utca, 5-minute walk from Budapest's Chain Bridge, and offers free Wi-Fi. 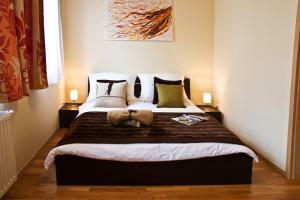 The rooms are fully equipped, with a modern, high-standard kitchen, a flat screen TV and design furniture. Air-conditioning is available in some units at additional fee. Some apartments offer a balcony. An Xbox 360 game console is also available for a surcharge. Breakfast is available on request in a nearby restaurant. Gym, cardio and a hot tub are available in a sport center nearby. Sightseeing tours can be booked at the reception. The property can offer a 'baby package', including a baby cot, children's toys, a children's tent, information on events for children, children DVDs, and in case of transfer a baby seat, all for a surcharge and upon request. 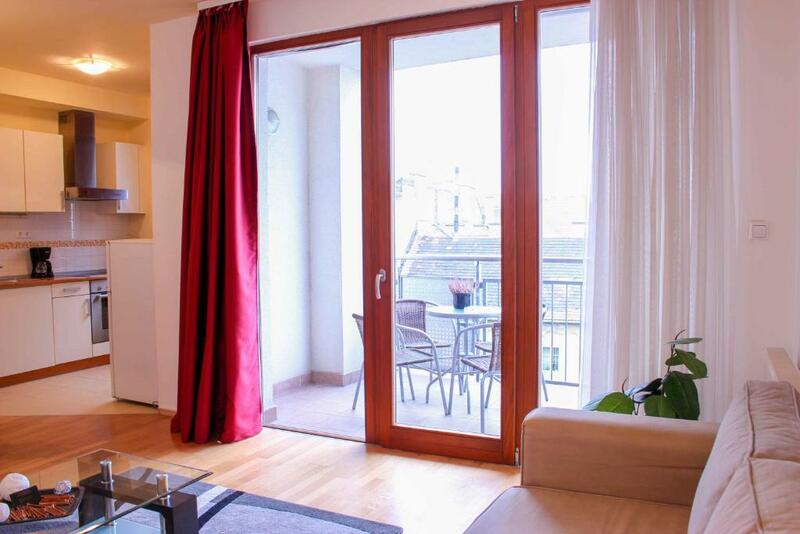 From the Senator Apartments you have easy access to Deák Ferenc Tér, Budapest's main metro station. A wide range of restaurants, pubs, leisure and sports facilities are located nearby as well. You can park your car on site. 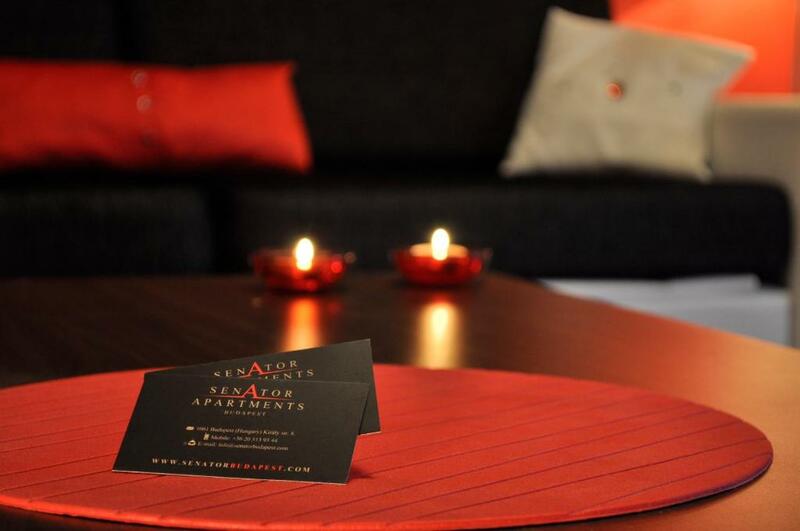 When would you like to stay at Senator Apartments Budapest? Comes with a fully equipped kitchen, a bathroom with a bathtub, flat-screen TV and free WiFi connection. Some units have a balcony and some come with a double bed, while some have a sofa bed in the living room. Please note that some of the apartments are located within 1640 feet from the main building. Comes with a living room and 2 separate bedrooms, a fully equipped kitchen, a bathroom with a bathtub, flat-screen TV and free WiFi connection. Some units have a balcony. This larger apartment comes with living room, 2 separate bedrooms, a fully equipped kitchen, a bathroom with a bathtub, flat-screen TV and free WiFi connection. Some units have a balcony and some also come with a double bed or a sofa bed in the living room. This larger apartment comes with a living room, one separate bedroom, a fully equipped kitchen, a bathroom with a bathtub, a flat-screen TV and free WiFi connection. Comes with a double bed in the living room, a fully equipped kitchenette, a bathroom with bathtub, flat-screen TV and free WiFi connection. Some units have a balcony. This apartment features a washing machine, oven and satellite TV. This studio has a toaster, seating area and sofa. This apartment features a seating area, toaster and microwave. 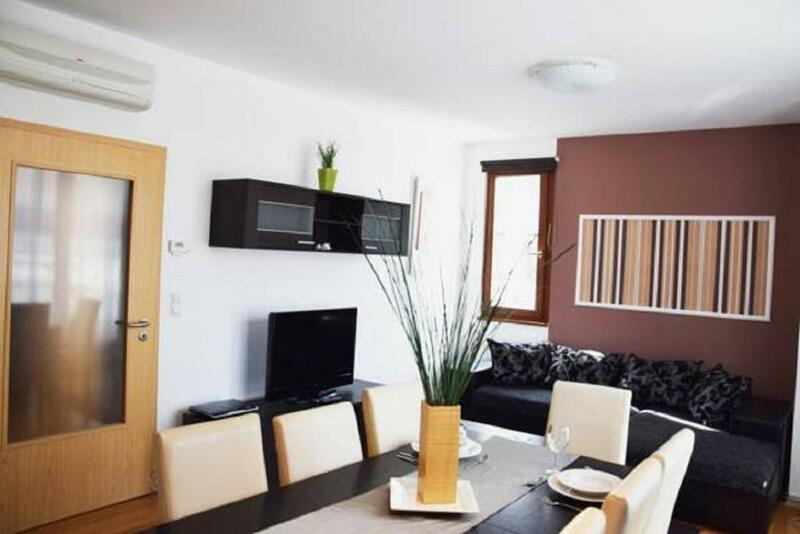 Luxury Two-Bedroom Apartment - 1075 Budapest, Asbóth u. 24. This apartment has an electric kettle and a microwave. Mini Studio with Loft - Paulay utca 18. Rooms are 21 square yards. Bathroom with a shower and a kitchenette are featured. This type of accommodations contains four apartments in a separated wing. Altogether 20 people can be accommodated here. Recommended for bigger groups. Baby room package || Ideal until age 4 Do not worry about packing kid stuffs. We are ready to provide everything your children need and install a fully equipped Baby Room, including Baby cot, Stroller, Meal equipment, Toys, Childrens car seat, Cartoon DVDs and many more. 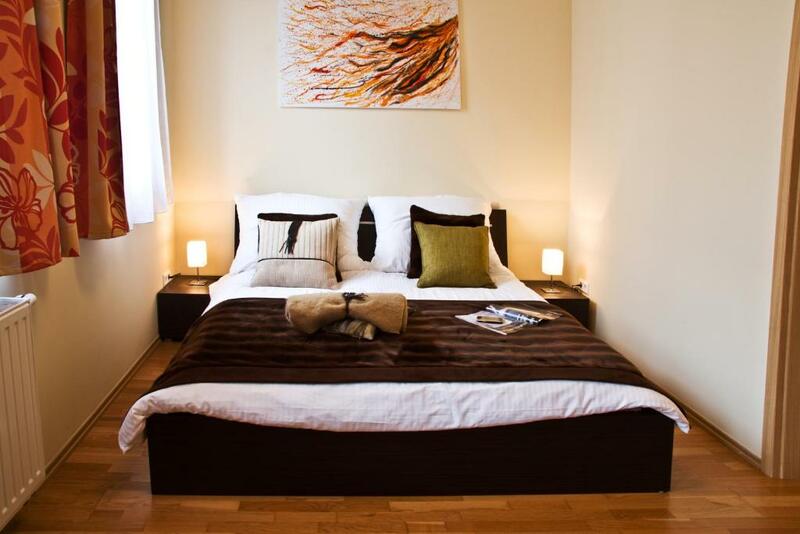 House Rules Senator Apartments Budapest takes special requests – add in the next step! Up to two children under 2 years are charged EUR 7 per person per night in a crib. Debit card Senator Apartments Budapest accepts these cards and reserves the right to temporarily hold an amount prior to arrival. Senator Apartments Budapest accepts these cards and reserves the right to temporarily hold an amount prior to arrival. Please note that payment has to be made on arrival in EUR or HUF. Please let Senator Apartments know your expected arrival time in advance. You can use the Special Requests box when booking or contact the property. Breakfast is available in a restaurant nearby. Air-conditioning in the summer season is available at an additional cost. Please also note that the 'baby package' costs EUR 25/stay and you have to provide a deposit of EUR 100 for incidental charges. This amount is refunded, if all toys and equipment are returned to the property. Please inform Senator Apartments Budapest of your expected arrival time in advance. You can use the Special Requests box when booking, or contact the property directly using the contact details in your confirmation. Rooms very dirty & in a need of a good TLC. Nice chap behind from desk who was extremely helpful on check out. Great central location. Dishwasher and washing machine excellent but may be a few dishwasher tablets and some washing powder to start would be useful. When we arrived to check in, we were told our property wasn’t ready. We were then told it would be ready at 3, so when we returned at 3 we were told it would be 30 minutes. We didn’t actually get our keys to the apartment until 4:30pm which was very frustrating, and the whole check in process takes about 20 minutes. The bed was very uncomfortable, with two thin single duvets making up a double bed and one very small and thin pillow that may as well not have been there. The curtains were thin so they stopped no light coming through, so quality of sleep wasn’t great. The apartment was generally clean, but some of the utensils etc in the kitchen were dirty and they looked as though they aren’t check to see what condition they have been left in. The receptionist there when we arrived was really friendly and couldn’t do enough to help us. The apartment was spacious and had everything that we needed in. The location was excellent, it was within walking distance to everywhere. 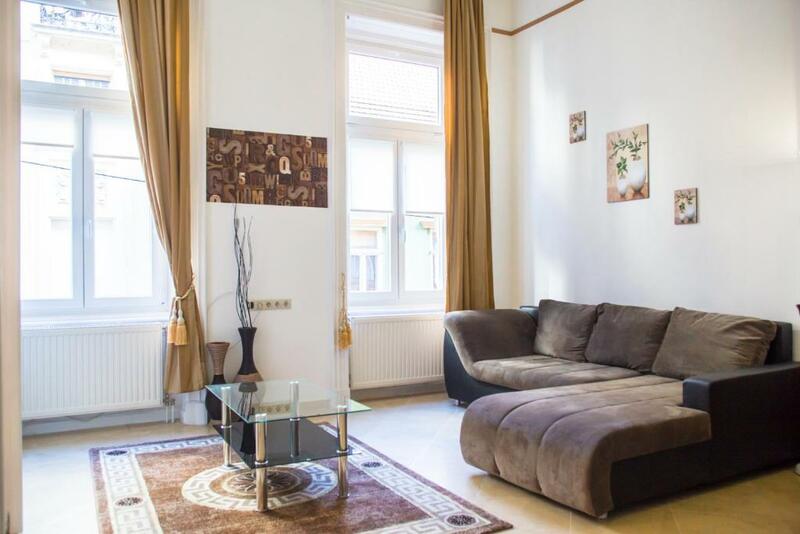 The apartment was clean and spacious and the location is close to the bus and underground stations. The Pillow covers were dirty, the rest of it all good. Could've complained and gotten them changed but we somehow managed. The apartment was not clean. Great location and food options around.Staff was really friendly and I appreciate the quick responses through email made things very easy.Loved that they have parking underground . We had 1 day in Budapest. The staff at the reception treated us horrible. We booked 3 apartaments and paid for them at 11 a.m. The apartaments were not ready even at 21 p.m (even if check in is available from 15 p.m.). The reception staff were incredibly rude and refused to give us a contact for their manager so we spent around 2h at the reception to get our keys. The apartaments are in a horrendous state. There was hair in the bathtub, grease all over the kitchen, broken and full of dust curtains, lamp full of dead bugs, miserable towels and sheets. I’ve been staying with booking for many years now but i’ve never experienced something like this. Wouldn’t recommend to anyone, there are a lot of different and better places to stay in the same area. We even filed a complaint for the consumer protection regarding this property. 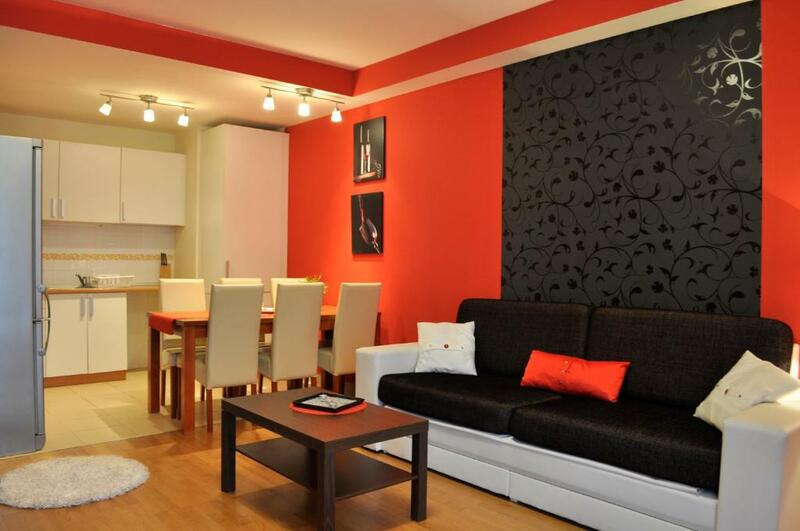 Property is located centrally near lively streets of Budapest. We came to the apartment the toilet and bathroom was dirty the floor was dirty and we went to buy cleaning things to clean the room by ourselves. The plugs so dangerous to be used. There were no shower towels and toilet papers. We have asked them to clean up our rooms and we have found blood on all the bedsheets and pillow cases. Also, we came to the apartment and we found out that we didn’t have lights working, there answer on this situation were “we can’t do nothing now, tomorrow maybe someone will fix it” so we had to spent another one day from our holidays waiting someone to fix the lights. This is a party street and we could not sleep as people were outside our windows screaming and honking horns all night. The staff was amazing! The apartments were clean and well furnished!